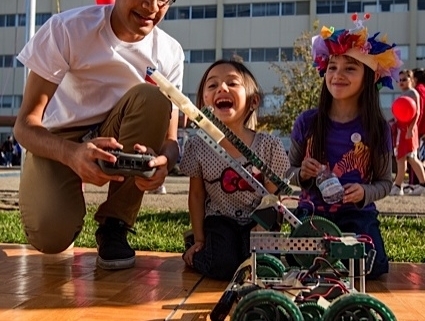 Curious minds of all ages can rejoice: The Bay Area Science Festival is upon us. 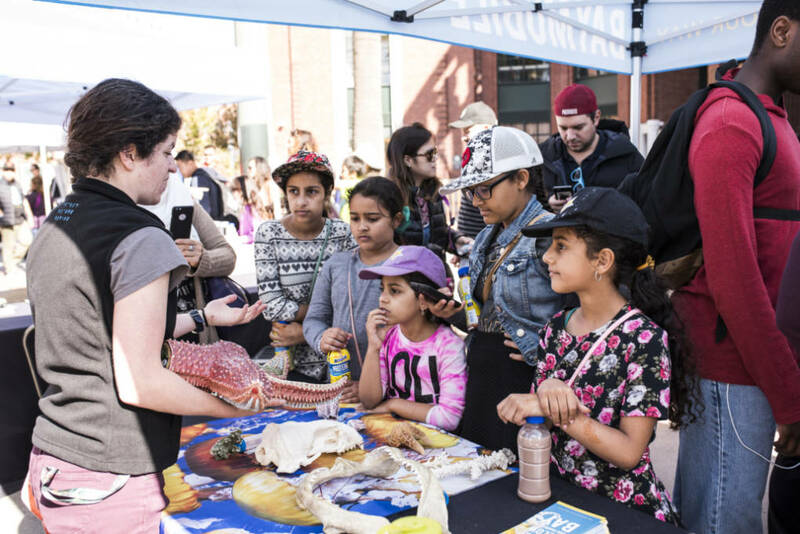 Organized by UCSF, in collaboration with dozens of science and cultural institutions, the festival is brimming with hands-on programs and workshops designed for people of all ages. Whether it's an intimate lecture at an Emeryville coffee shop, a haunted spook-shop in San Francisco, or a workshop that allows you to turn cells into cancer-killing superheroes, the nine-day affair promises something for everyone. KQED Science is kicking off the event, which runs from Oct. 26 to Nov. 3, with a special screening of its award-winning science series Deep Look. Here is a brief list of some of this year’s offerings. For more information, check out the festival's schedule. Featuring a special screening of KQED’s award-winning science series, Deep Look. Meet the producers and hear how they captured the stunning imagery for some of Deep Look‘s creepy creature videos, including flesh-eating beetles, ticks, whispering bats and more. Plus, you’ll meet some of the researchers behind the videos and enjoy hands-on activities that might reveal your fear factor. Enjoy cutting-edge science talks featuring UC Berkeley graduate students, science trivia, locally roasted coffee, pinball and more. Join Micah Brush (physics) and Wren Suess (astronomy) to learn more about the cosmic secrets of dark matter and galaxy formation. Featuring more than 25 interactive exhibits showcasing science, technology and engineering from local businesses, museums and universities. Featuring family-friendly interactive workshops designed to get kids excited about STEM – Science, Technology, Engineering and Math. Participate in fun activities like formula racing engineering, where you can race your own gravity-powered model. Or discover what it’s like to be a heart surgeon using the newest technology. The fields of Science, Technology, Engineering and Math (STEM) have been around for generations and will continue to shape our world in the years to come. This program explores how adults can give young girls the tools they need to succeed in a STEM career. In this discussion with women STEM professionals, the program will explore popular media perception of STEM, the parent or guardian’s role in empowering their child to pursue a STEM career, and inspiring STEM resources for girls and their families. Featuring special Halloween-themed activities in the Ingenuity Lab and Animal Discovery Room. Pumpkins will fly during this annual outdoor event. In the Ingenuity Lab, use the basics of engineering to design your own hydraulic lifts. Then, grab some pumpkins and test the strength of your hydraulic creation in this Halloween-themed activity for all ages. The event will also feature a collection of animal skeletons and brains along with the science behind their unique characteristics. 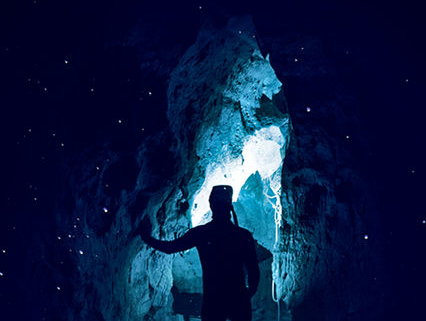 Learn how to create your own holographic augmented reality experiences in this introductory workshop hosted by Integem Inc. Come create your own fantasy world with Holographic Augmented Reality (HAR). This event is suitable for K-12 students. How can artists, scientists, and designers collaborate to create new methods of public engagement around marine conservation? swissnex San Francisco will host a conversation with Marie Griesmar, artist, diver, and science communicator. Marie will provide insights into her artistic process and her strategies for increasing awareness around coral reefs and environmental change. Enjoy a special guided tour of the newly opened Habitarium and CA Trail exhibits. Guests will learn all about the new resident animals. Explore what you eat and learn about the biology, chemistry, physics and even math of your food. Get hands-on and join Cal scientists for some fun, food-related (and spooky!) investigations. Learn how UCSF scientists are turning cells into superheroes by engineering immune cells to kill cancer. Scientists will lead you through an interactive experience to design, build, and test a personalized cell therapy to treat a hypothetical cancer patient who has failed conventional treatment. Participants will also engineer immune T cells with the therapy they designed and use microscopy to test their ability to specifically kill cancer cells without harming healthy cells. Featuring exhibits that come to life and take over the workshop for one haunted evening! Come if you dare and explore the spooky side of science. Walk inside the belly of a (real!) whale, dissect an eyeball, meet the Mission’s friendliest python, dance with real animal calaveras and skeletons, and light up your costume with LEDs or get it moving with a motor at our tinkering table of terror. All ages are welcome! Showcasing a cutting-edge approach to improving brain function by building a bridge between neuroscience and fun technologies. Discover how video games are being developed to support treatment of brain disorders such as ADHD, autism, depression, and Alzheimer’s disease. Neuroscape Research Labs are state-of-the-art programs designed to study novel, therapeutic approaches, with the primary goal of driving the rapid translation of neuroscience to real-world solutions. Scientists and science enthusiasts are mourning the passing of Stephen Hawking, one of the great minds and spirits of our time. In this introductory, nontechnical talk, Andrew Fraknoi will briefly summarize Hawking’s life, and talk about the importance of his scientific work. No background in science or math will be required, but be prepared to have your mind boggled. Come enjoy the final Astronomy Night of 2018! Featuring an astronomy talk and stargazing on the roof of Campbell Hall with a fleet of telescopes. Learn all about the search for extraterrestrial life, and how you can help search for ET too. "The Most Unknown" is an epic documentary film that sends nine scientists to extraordinary parts of the world to uncover unexpected answers to some of humanity’s biggest questions. 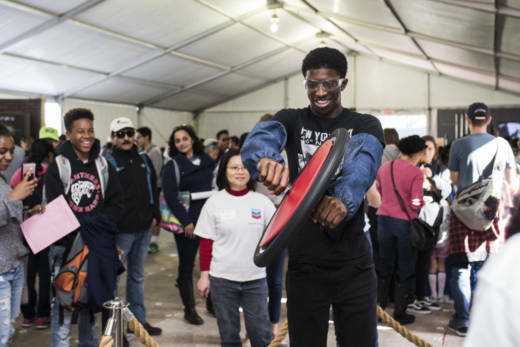 Come experience tons of dynamic demonstrations, engaging experiments, and geeky games led by Bay Area scientists and engineers. The entire ballpark will be packed with science content. Featuring a daylong program, middle-school aged students will take part in multiple Science-, Technology-, Engineering-, and Math- oriented sessions. Students will sign up for activities at the beginning of the day. There will also be an event connecting students with mentoring programs in the Bay Area. This will allow students to follow up with their STEM experiences throughout the year. This opportunity is open to all students. Youth from underrepresented backgrounds in STEM are especially encouraged to attend!